Automatic device detection, blacklisting of fraudulent devices and configuration with mobile data. A quick and seamless welcome journey is the foundation to a great customer relationship. With automatic device detection (ADD) and automatic device configuration (ADC), we make sure your customers get online quickly when they activate a new device or swap to a new SIM card! 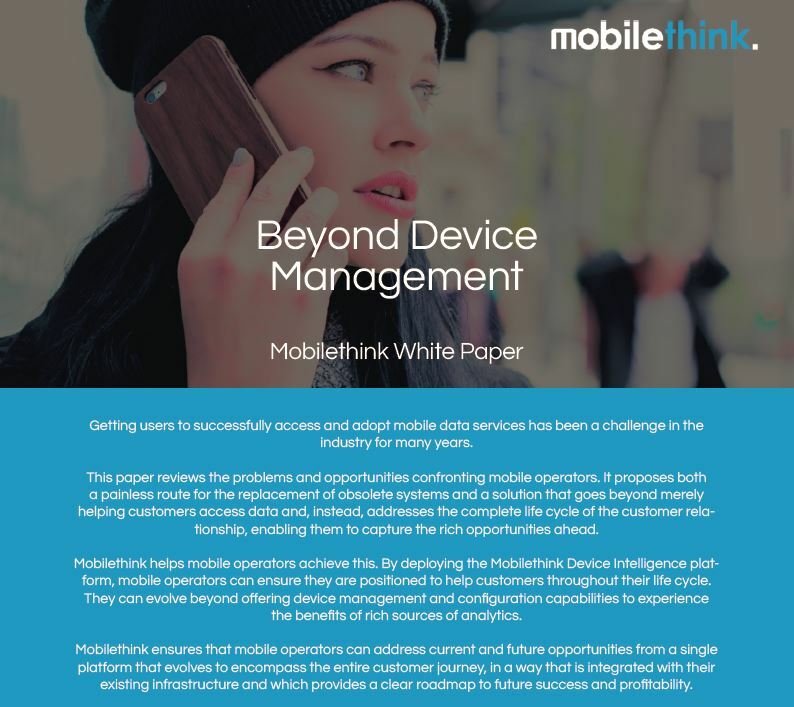 Mobilethink Device Management is a next generation solution that goes beyond the basic device and service activation to provide a complete platform for continuous customer engagement. This creates opportunities to upsell new products and operator specific services, build customer loyalty and reduce churn. Mobilethink Equipment Identity Register (EIR) performs checks on all mobile devices joining a network and identifies blacklisted, counterfeit or fraudulent terminals. It is up to mobile operators to block, remotely configure them or further engage with these customers and upsell a new device model. Effectively manage each stage of the customer life cycle, from service activation, provisioning with certified and tested configuration settings, deep insight analytics at device and subscriber level to context based real-time customer engagement. The real-time high performance detection method. Network (MSC, SGSN) trigger Check-IMEI events to Mobilethink Device Management solution (EIR function) when a device attaches to the network or when the location of the device changes. Detection based on different data logs from the signaling network or from other systems such as billing. HLR triggers notification of Device, SIM and Mobile number changes to Mobilethink Device Management (ADD). Plug-and-play integration with several HLR vendors supported. Detects devices with a erroneous or missing APN settings from SGSN log files. Automatic Fault Detection (AFD)is especially useful in networks where subscribers switch SIM cards frequently. The AFD ensures that a device has the correct APN parameters when a subscriber is roaming outside the home network. IMEI tracking Applet or SIM Toolkit application used to check the IMEI of a device at power-on. If changed, the device sends the triplet (MSISDN, IMSI, IMEI) to Mobilethink Device Management solution (ADD). Mobilethink unique device library provides the widest coverage of verified device detection data, and tested and certified OTA settings. It helps subscribers with non-OTA devices by sending set up manuals over SMS when they activate their device. Mobilethink device library features the highest update frequency on the market. It’s updated daily with newly verified device data and settings. Mobilethink device verification process always covers the commonly used devices, globally and locally, maximising detection coverage and ensuring seamless device configuration in all markets. Read how we ensure that you base your mobile business on accurate and up to date device intelligence. Once automatically detected and provided access to the network, customers’ devices need to be provisioned with the right configuration settings. Mobilethink’s unparalleled device intelligence secures terminal-specific certified and tested settings, be it over-the-air (OTA), iOS auto-configuration or manual guides via SMS for non-OTA capable devices. It ensures the best possible end-user experience, accelerated data uptake and reduced customer care calls. Based on device model and supported configuration type, every new handset detected on the network is automatically pushed the right operator-specific settings. For greater flexibility and 24/7 online support, Mobilethink offers a self-help operator-branded interface that works as a stand-alone support portal or can easily be embedded within the operator’s website. Call centre agents get access to an easy-to-use web interface to quickly and effectively trigger configuration settings, with no need for 2nd line escalations. Competing Device Management solutions typically block all cloned or counterfeit devices causing operators revenue losses. Mobilethink’s unique algorithm for detecting and configuring cloned and counterfeit devices (devices with an invalid IMEI code) turns these handsets into a new revenue source. With a proven track record of up to 80% device coverage, this unique live IMEI pattern detection capability is instrumental for operators in fast growth markets who want to monetize the cloned and counterfeit device segment. A good customer understanding sets the foundation for accurate and effective marketing campaigns, enhanced customer support and the optimization of mobile offerings. Real-time device detection, enriched with certified capability information, gives operators full visibility into their device population.  Mobilethink lets mobile operators slice and dice this intelligence into customisable reports, ready to be visualized into their own Business Intelligence system. Complete system run in Mobilethink hosting center with secure connection to operator systems. Automatic Device Detection system installed at the operator’s premises with secure connection to Automatic Device Configuration system running in Mobilethink hosting center. Questions for Enghouse Mobilethink experts?